What happened at Easter and what does it all mean? Big questions and big ideas for Christians. 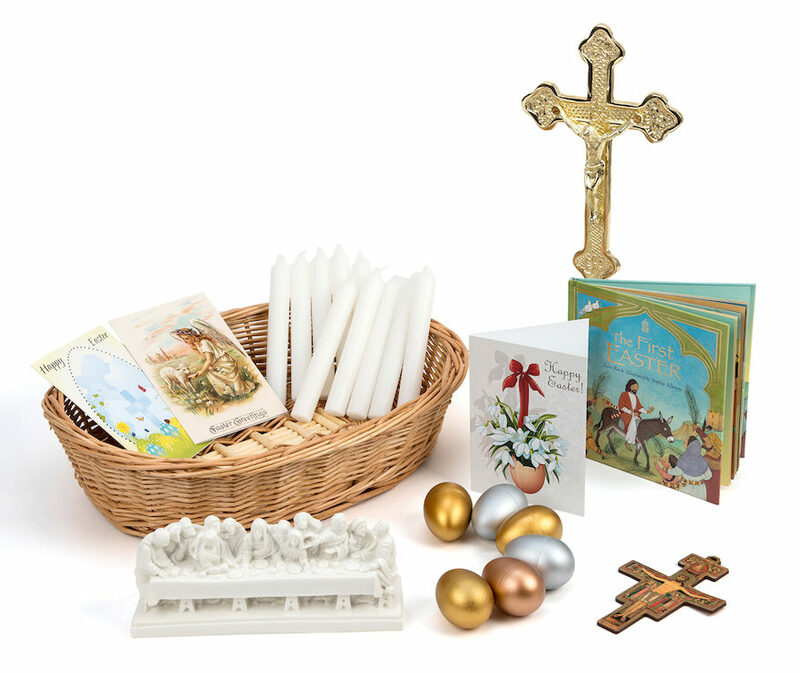 If you are teaching Easter to your primary pupils this term then a box of Easter artefacts (including a chocolate rabbit) could help to make it all rather more thoughtful. Take objects from the box one by one and display them on a cloth. Ask a child to say of each one what it has to do with the Easter story. You could use BBC broadcasts: ‘Religions of the World’ for 5-7s and ‘My Life My Religion’ for 7-11s to recap on the Easter Story and practice if the class need this. Here is a list of what might go in the box, but you can do this according to what you have available. An egg. Symbol of new life, it looks like a stone, but something alive comes from it, like the grave of Christ in the Easter story. A rabbit. A common symbol for spring and for Easter, wrapped up in a myth of the ‘Easter Bunny’. Thirty pieces of silver (mostly 10p pieces here). The price Judas was paid to betray Jesus. A six inch nail. Jesus was crucified by the Romans, who used nails to torture people to death. Not for infants! A world. Christians believe that Jesus’ death was not just a tragedy, but an act of love that saves the world. A chocolate rabbit. In the tradition of Easter chocolate! A bandage. The body of Jesus was buried wrapped in bandages. A Divine chocolate bar. Chocolate has a special place at Easter, partly because Lent, the 40 previous days, is a time of abstinence. A donkey. Jesus’ last week began with a triumphant procession into Jerusalem on a donkey. An image of Mary, the mother of Jesus. She was a witness to his death and at the empty tomb. What might she have felt on these two days? A crucifix. An image of Jesus on the cross, easy to call a ‘Friday Cross’ for children. An empty cross. An image of the cross with nobody on it: a resurrection image, easy to refer to as a ‘Sunday Cross’. A figure of the risen Christ. Jesus back from the dead, with wounds in his hands and feet. A lamb. Christians call Jesus ‘the Lamb of God’: to them, he is the sacrifice that brings humanity and God together. 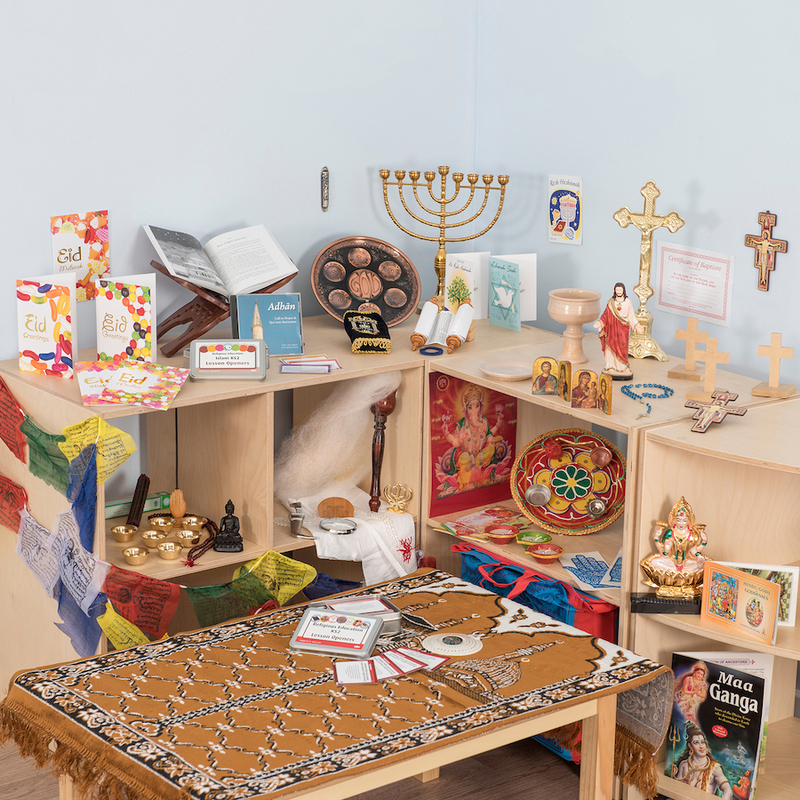 Speak and listen: Discuss each object’s connection to Easter stories and celebrations. Play ‘Kim’s Game’. Cover the objects with the cloth and ask pupils if they can remember all 14. Put the 14 in number order. Lay out numbers 1-14 in a line and invite different children to start at the bottom: what is least important at Easter? 14th least important? Work up to number 1. Writing about what matters at Easter. Ask pupils to select the three objects they think say the most about the Easter festival, and write a paragraph to explain why they chose these three.